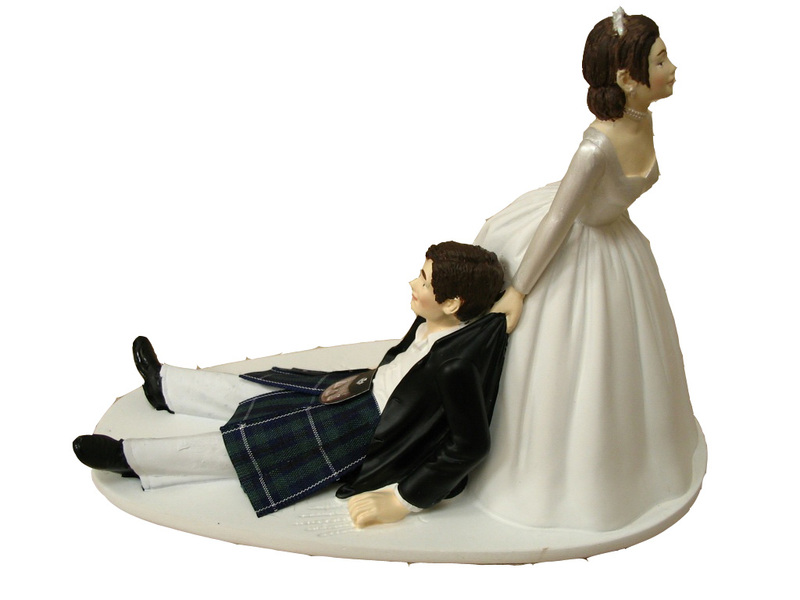 Tartan Ribbon (or Plaid Ribbon, as it is often called in Canada and the USA) adds that unmistakably distinctive Scottish touch to weddings and other family occasions. Tartan plaid ribbon is used extensively in wedding flowers, on wedding invitations, on wedding cakes and favours, floral funeral tributes and is ideal for all sorts of craft and fashion uses. Tartan plaid ribbon is also a popular and powerful marketing resource for corporate clients, offering excellent branding potential and countless product presentation uses. We can even have your own tartan produced in ribbon! As the world's premier suppliers of tartan plaid ribbon and as a proudly Scottish company, tartan-ribbon.com offer the largest range of "proper" tartan ribbon. All our tartan ribbon is woven to British Standards in polyester, with stitched edges, is colourfast and approved for use with edible items... so is perfect for decorating wedding cakes. Tartan use has developed throughout Scotland over several thousand years, with the earliest tartans being little more than checks achieved by weaving two different (normally wool) threads: one light, one dark. Plant and mineral-derived dyes were slowly discovered and added to the wool to create more interesting possibilities and, often, to protect and extend the life of the wool. We know the ancient Celtic people were extremely artistic and cultured; they highly prized their music, story-telling, jewellery and clothing... anything where the skill and art of their culture could be shown. Extended family groups lived together and fairly obviously shared resources, including cloth. It really isn't surprising that the same "tartans", in their earliest form, began to be worn within the same communities. At some point this developed into the tartan itself becoming identifiable with the family, or clan. It is very unclear just exactly what connections most modern-day tartans have with the early clans. In many cases, there is an accepted link between a clan and its tartan, confirmed through documents, art and even the odd surviving piece of cloth, but it was only in the 18th and 19th centuries that most tartans (as we now recognise them) were first recorded and catalogued. 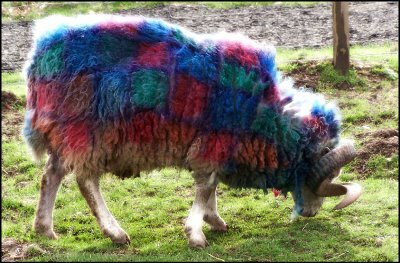 In some cases, it has to be admitted that the links claimed to exist between tartans and clans are dubious.There are even stories of special sheep found only the most remote glens of the far North Western highlands, bred for their rare tartan wool(!). After the 1745 Jacobite Uprising (Bonnie Prince Charlie and a' that! ), the British Government introduced a series of measures designed to exterminate the highland way of life within a generation. The bearing of arms, the speaking of Gaelic, the playing of bagpipes and the wearing of tartan were all made illegal. The Dress Act stated . . .
" . . . that from and after the first day of August, one thousand, seven hundred and forty-seven, no man or boy within that part of Britain called Scotland, other than such as shall be employed as officers and soldiers in His Majesty's Forces, shall, on any pretext whatever, wear or put on the clothes commonly called Highland clothes (that is to say) the Plaid, Philabeg, or little Kilt, Trowse, Shoulder-belts, or any part whatever of what peculiarly belongs to the Highland Garb; and that no tartan or party-coloured plaid of stuff shall be used for Great Coats or upper coats, and if any such person shall presume after the said first day of August, to wear or put on the aforesaid garment or any part of them, every such person so offending¢Ã¢¬¦.shall be liable to be transported to any of His Majesty's plantations beyond the seas, there to remain for the space of seven years." It's all too easy to regard the "banning of the tartan" as some quaint piece of legislation, but we should not forget that it was part of a carefully orchestrated campaign to destroy the highland clans and the Gaelic culture; a policy we would nowadays regard as ethnic cleansing. The legislators forgot to mention women, with the result that women and girls continued to wear tartan shawls, often to show Jacobite allegiance - an important point as it allowed the tartan weaving skills to survive during these dark days. All Scottish clans have their own tartan(s) and the clans are then split into a number of sub-groups, or septs. So even if your surname isn't particularly Scottish, you'll often find that it is connected to a clan, allowing you the right to wear that clan's tartans. Through time many families have had their own tartans produced and added to the register, plus there are countless district tartans and tartans with military and corporate associations. When all else fails, there are also many new, fashion tartans and the one that everyone can wear: the Royal Stewart. 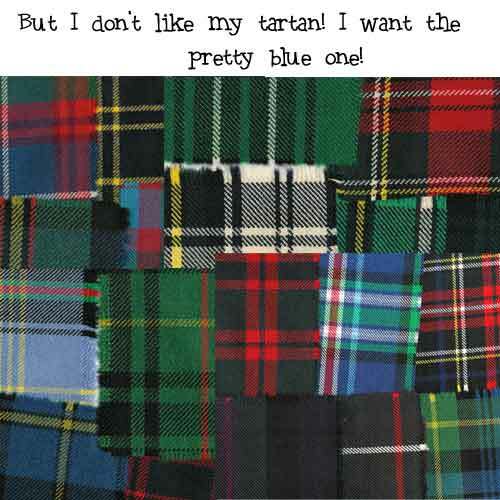 Sure, there are rules about which tartans you should and shouldn't wear, but wearing the tartan is something that should be celebrated and enjoyed, so no-one gets too hung up on the etiquette. If you find a tartan you really wanted to wear, only the most ardent tartan "anorak" would object! 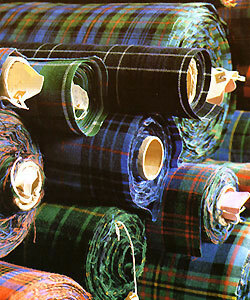 Although there's over 5,500 different tartans now registered, only around 40 tartans are produced in ribbon. This means that for the vast majority of customers, finding their tartan ribbon is a case of settling on the closest available alternative. tartan-ribbon.com have unrivalled experience in this area - please use the SEARCH box above left, visit the Other Tartan Ribbon page or contact us direct and we'll be only too happy to help suggest the closest tartan ribbon to the tartan you're looking for. tartan-ribbon.com are proud to be members of the Scottish Tartans Authority. Their expertise helps ensure our range tartan ribbon remains the most comprehensive and authentic available in the world today. Because of the number of different weavers involved, not all tartans are available in all widths of ribbon - as you browse the site we'll show you which widths are available in each tartan ribbon. Tartan is instantly recognisable as an important part of Scotland's rich heritage and culture. From designer fashion to family celebrations, tartan is celebrated and worn with pride all over the world, and not just by people with Scottish ancestors. Irish, Welsh and Cornish people share in our common Celtic culture and we are delighted to see the wearing of their own tartans becoming popular again. Scottish tartans date back over thousands of years although what we nowadays recognise as clan tartans were only first catalogued in the 18th-19th centuries. Some clan tartans are ancient but others owe more to the popularisation all things Scottish during the reign of Queen Victoria. In many cases the recording of some tartans was "vague", often done by weavers without particular reference to historical facts. As well as the 40-or-so tartan ribbons available here, we can supply over 500 more tartans in woollen ribbon, although please note there is no separate trade price for this. This is a very high quality product, woven in Scotland from 100% pure new wool to the standard 54" material width. We supply packs of 10 of these 54" strips, each 1" wide with hemmed and stitched edges. Please click here to see our massive range of Wool Plaid Tartan Ribbon. Please remember to allow up to 14 days for this ribbon to be produced. We can even produce your very own tartan in ribbon . 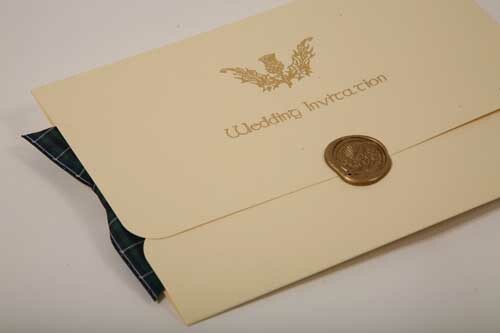 . . the nature of weaving means that the minimum production run is around 500m (550yds) but it's a unique service and popular for weddings and for corporate customers. You can take this idea one step further by designing your very own (new) tartan using the unique Online Tartan Designer. This is a brand new idea which may seem odd at first as it seems to fly in the face of the historical significance of tartan, but imagine creating a brand new tartan especially for a family wedding, the birth of someone special or for your company, school or charity!?!?! The new tartan is officially registered for posterity, making it a timeless gift. Please contact us for full details. We an also offer commercial customers wishing to have either their own (or a traditional) tartan produced in ribbon specifically for resale, a fantastic "package" which offers a range of tartan ribbon widths on fully customized branded reels, with an exceptionally healthy return on the investment. 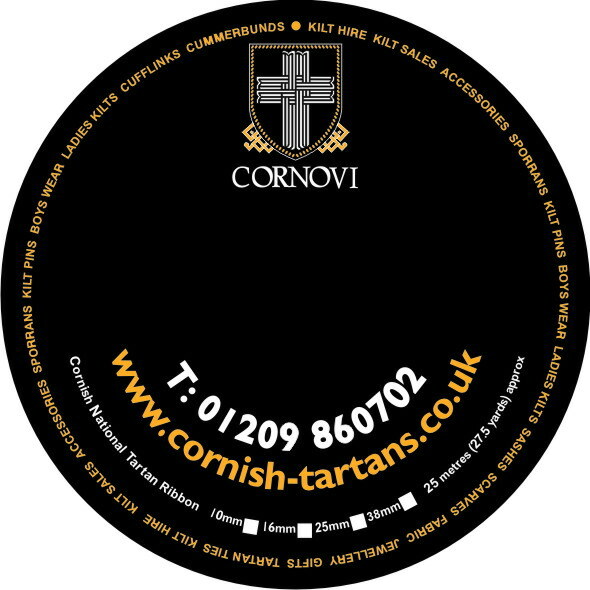 This image shows the artwork used on Cornish tartan ribbon reels, produced for our client. Uniquely within the industry, we offer this package at our cost price, which may sound too good to be true so we'll very quickly explain the concept: to have tartan ribbon produced in a range of widths and with branded reels means ordering a LOT - we're constantly looking to add new tartan ribbons to our range so we pay 50% and you pay the other 50%. This allows you access to tartan ribbon prices otherwise unobtainable in the UK and it allows us to add another tartan to our range. To discuss details of this unique package please contact us. All measurements are approximate - due to the number of different specialist weavers and the nature of the manufacturing process please allow a 1 - 2mm variation on widths; eg "16mm" could be 15 - 17mm and "38mm" could be 38 - 40mm. By law we are required to show all measurements as metric but we have tried to show approximate imperial equivalents. 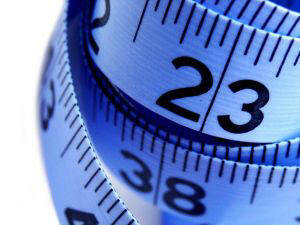 We stress that all measurements shown are approximate and for your guidance only. Please also note that due to the nature of the weaving process, we cannot guarantee that a 25m reel will contain one continuous length. Some ranges, such as Pride of Scotland, often have two or three separate lengths of ribbon per reel. 7mm = 1/4" 10mm = 3/8" 16mm = 5/8"
25mm = 1" 38mm = 1½" 70mm = 2¾"
The Scottish Tartans Authority is the world's leading authority on all aspects of tartan. Please click on the Scottish Tartans Authority coat of arms below for more information and to visit their excellent website. You can even try your hand at designing your very own tartan using their unique Online Tartan Designer.